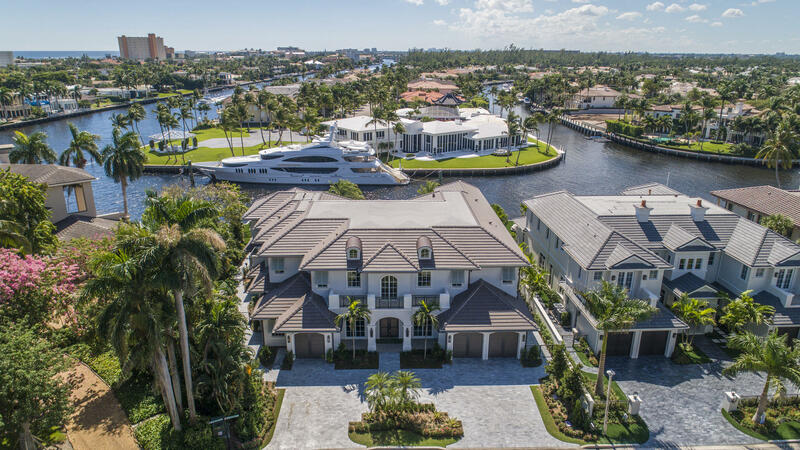 Reimagined with a fresh, light transitional flair, this gated Palm Beach-inspired estate fronts 111+/- feet on the Buccaneer Palm Waterway equipped with full-service yacht dockage. 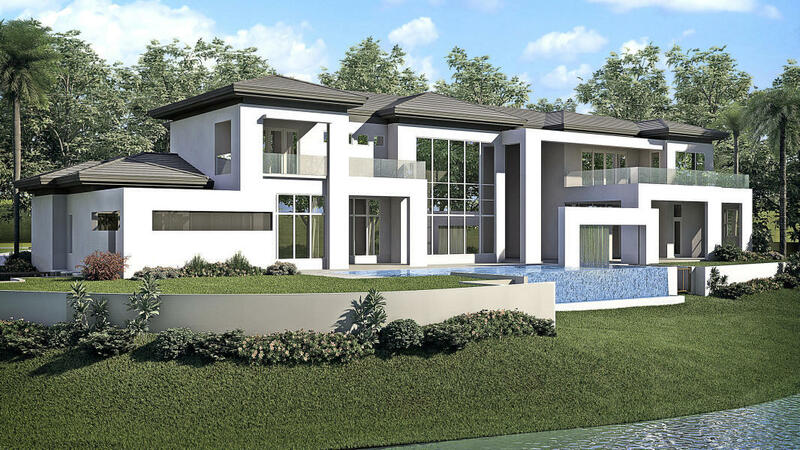 The grand entertainment loggia is a true outdoor living room with a pecky cypress ceiling, romantic gas fireplace, and high-end summer kitchen. 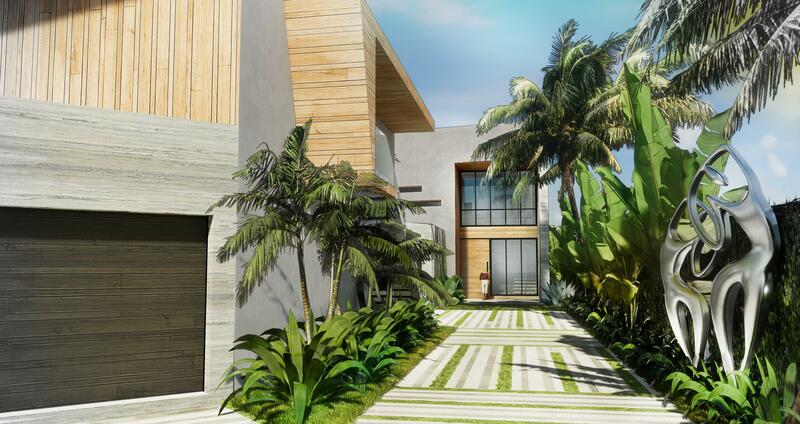 Lounge areas on the marble terrace surround the glistening infinity pool with spa. 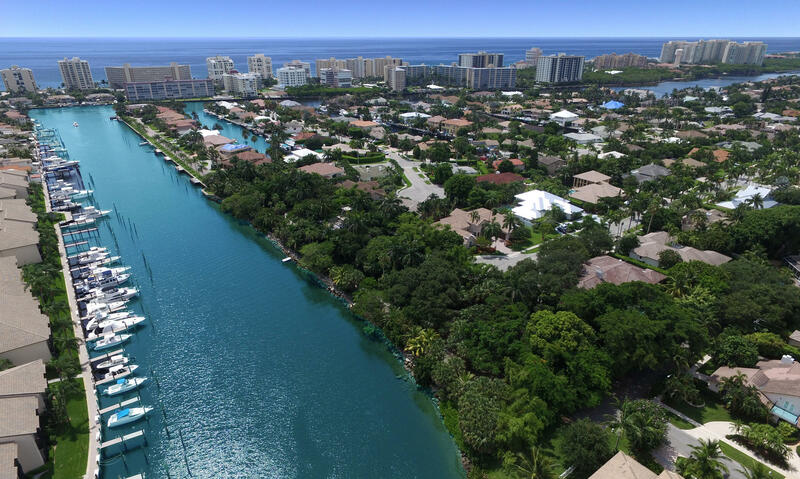 A putting green and an outdoor shower are also provided on the spacious, deep grounds served by an expansive motor court allowing ample guest parking.Royal Palm Yacht and Country Club membership is separate and not affiliated with RPIA homeownership. 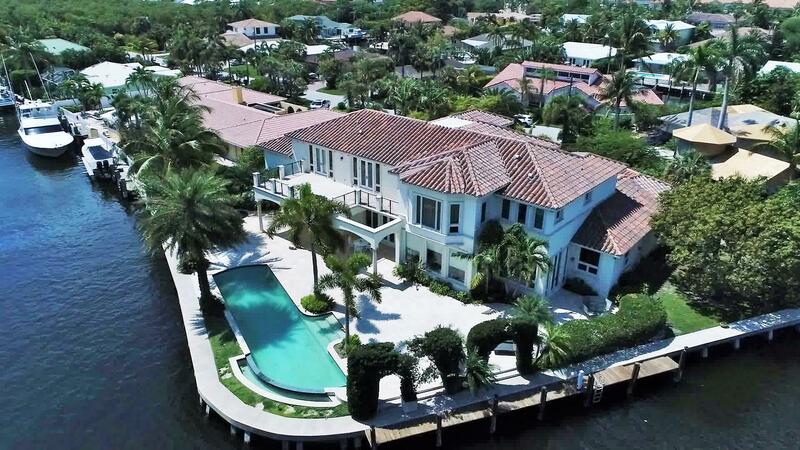 Gorgeous protected views overlook the Deepwater to the Intracoastal and natural parklands from this beautifully landscaped Modern-inspired estate on 185+/- feet of shoreline, one property from the point, with yacht dockage plus a floating dock for other water craft. 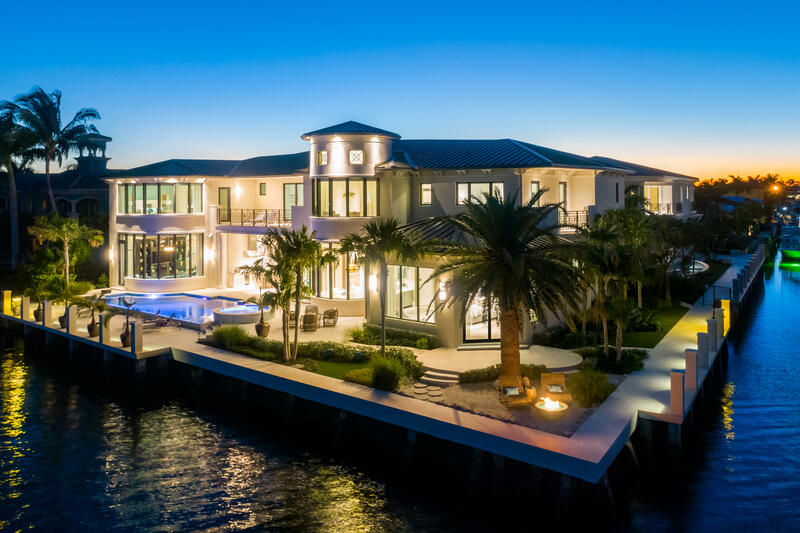 Outdoor entertaining is at home in the resort-like waterfront haven featuring a saltwater heated infinity pool with overflow spa by the open-air living room with a fireplace, summer kitchen, and retractable screens. 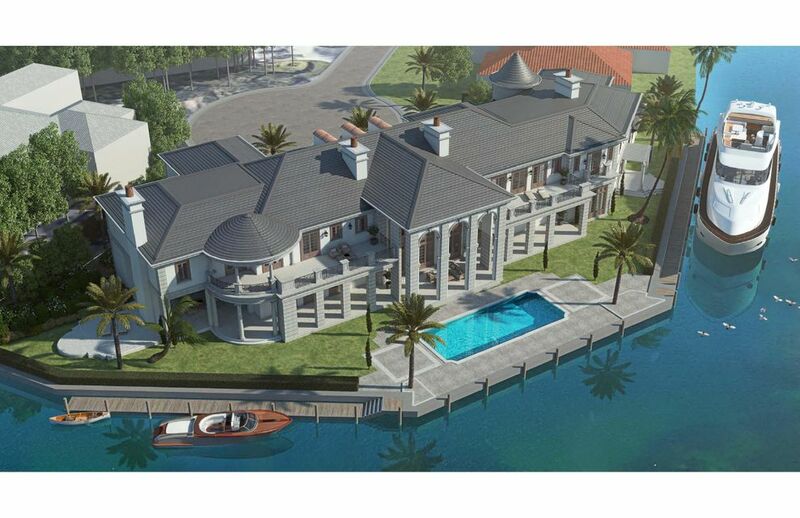 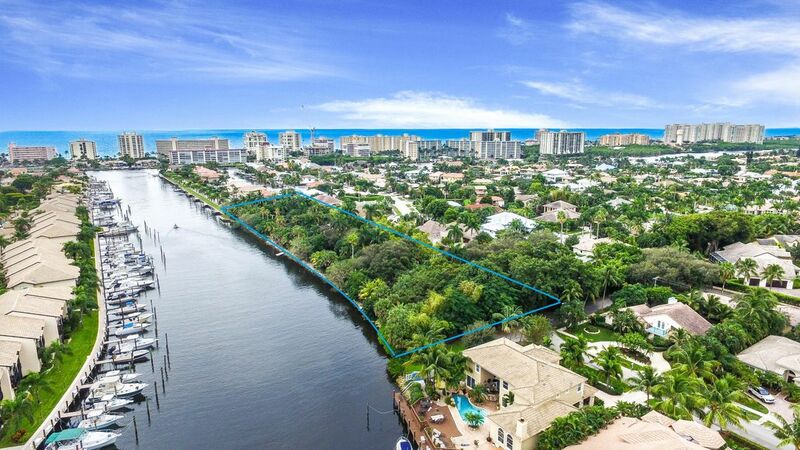 The adjacent property is additionally available, giving the option to create a sprawling compound on 300ft of protected dockage just minutes away from Boca Raton Inlet.